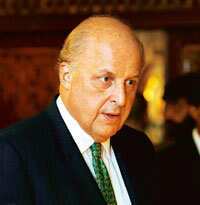 New Delhi: Keeping up the pressure on Pakistan to extend a crackdown on terrorist groups operating from its soil after the Mumbai attacks, the US will send deputy secretary of state John Negroponte to Islamabad this week, as India prepares to receive a special envoy carrying a message from US President-elect Barack Obama. Pakistan, meanwhile, said on Tuesday that it would not hand over any suspects in the Mumbai bombings to India and warned that while it wanted peace with its neighbour, it was ready for war if New Delhi decided to attack. Negroponte, who will head to Islamabad on Friday, will likely travel to New Delhi afterwards to brief the Indian establishment about Pakistan’s actions, according to a US official who didn’t want to be named. His planned visit to the region follows the house arrest of Maulana Masood Azhar, head of the Jaish-e-Mohammed, in the Pakistani city of Bahawalpur on Tuesday and the capture of Zakiur Rehman Lakhvi of the Lashkar-e-Taiba on Monday in a training camp outside Muzaffarabad, capital of Pakistan-controlled Kashmir. 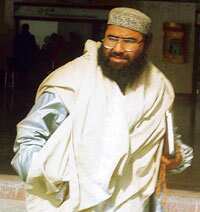 Indian authorities say Lakhvi is one of the masterminds of the Mumbai terror attacks that left at least 183 people dead. Operations by Pakistani security forces against banned militant groups, including Lashkar, will continue till “desired results" are achieved and more arrests are expected to be made, officials in Islamabad said. “I think what we’re seeing are some positive steps (from Pakistan). It’s also incumbent upon the Pakistani government to act to prevent any future terrorist attacks, to break up those networks that may be responsible for perpetrating acts of violent extremism...," US state department spokesman Sean McCormack said in a briefing after the arrest of Lakhvi. Obama’s special envoy John Kerry will reach New Delhi on Sunday with a message of grief and ministrations for Prime Minister Manmohan Singh on the Mumbai terror attacks. Kerry’s presence in the Capital will be significant not only because he will take over as chairman of the US senate foreign relations committee, but because this is the first direct signal that the presumptive Obama administration is serious about looking at terrorism in the framework of India-Pakistan relations as well as in terms of domestic power politics between the elected government and the army establishment in Pakistan. The back-to-back arrests in Pakistan are a result of pressure from the US which, in a bid to avert Indian retaliatory strikes, has given Islamabad an ultimatum to crack down on those involved in the Mumbai terror, said Indian and US officials who declined to be named. There was no formal comment from the ministry of external affairs on the Pakistani arrests. But a government official who declined to be named said the arrests were not enough. “You cannot put them in a guest house and say you’ve arrested them. Action has to be taken," the official said. Pakistan extended an olive branch to India, offering to send a high-level delegation to cooperate on investigations into the Mumbai terror. However, Pakistan foreign minister Shah Mehmood Qureshi told reporters in Islamabad that Pakistan would not hand over the suspects to India. “The arrests are being made for our own investigations. Even if allegations are proved against any suspect, he will not be handed over to India," Qureshi said. “We will proceed against those arrested under Pakistani laws." Qureshi, who was in India when the terror attacks took place in Mumbai, added that he was sending a very clear message that Pakistan does not “want to impose war, but we are fully prepared in case war is imposed on us". On Tuesday, a suicide bomber blew himself up, apparently prematurely, killing a child and wounding four others in north-western Pakistan, said police official Mohammed Hanif. The blast occurred in Swat, a valley close to the Afghan border where militants are fighting troops to pressure the government to enforce a hard-line version of Islam. PTI, AFP and AP contributed to this story.